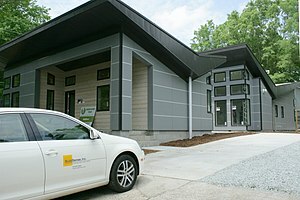 It is that time of year again where we get to tour the new Green Homes that have been built in the Wake, Durham and Chattham County areas. We have more than ever entered this year. I am looking forward to seeing what BuildSense has entered; they built the addition to our home and we are very very happy with the level of service and quality in construction. It is incredibly energy efficient and BEAUTIFUL!